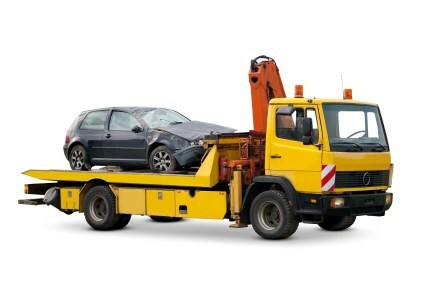 Whilst recovery trucks are used to assist other vehicles that have broken down or been involved in accidents, the recovery trucks themselves need insurance too. The cost of a recovery truck insurance policy will depend on a few different factors such as the history of the driver and the level of coverage being sought. Often recovery trucks are owned by a company so they’ll be insured as a fleet. If you’re looking for quotes for recovery truck insurance then you can click on the green button at the top or bottom of this page. Legal expenses – If you end up having to fight a liability claim then you want to know that you’ll have the means to pay for the legal expenses. These can be expensive fast so why not get them included in your policy. Fully comprehensive cover – Fully comprehensive insurance will provide full protection for your vehicle in any type of crash. Unlike third party, your own vehicle will be covered if you’re involved in an accident that you’re to blame for. Third party, fire & theft – This is the same as third party insurance only your vehicle is now also covered for damage by fire and theft. Public liability – Liability claims are always a possibility. If they go against you then you could find yourself financially ruined. Getting a good level of public liability insurance included in your policy is therefore always recommended. Fleet insurance – If you want to insure multiple recovery trucks then the best way to go about it is getting a fleet insurance policy. Fleet insurance is much easier to manage than getting a lot of individual policies. More importantly it nearly always works out cheaper. Loss of licence – Being unable to work due to losing your operating licence can put you under a lot of financial strain. Loss of licence will compensate you in such a scenario. Get a limited mileage policy – If you’re able to limit the amount of miles that you drive annually then you can benefit from getting a limited mileage policy. Fewer miles on the road reduces your chances of making a claim and therefore insurance providers can offer you a better quote. Consider a fleet policy – When you have 3 or more vehicles that you want to insure you should always look into getting a fleet policy. You can cover different types of vehicles under a fleet policy and it’s not just easier to manage but usually saves you a good deal of money. Pay upfront – It’s not always feasible to pay for your policy upfront but if you can then you’ll be able to save a good deal of money in the long run. If you do pay upfront then be sure to negotiate strongly for the best price you can get. Get lots of quotes – The most reliable way of saving money on recovery truck insurance is to get multiple quotes from different insurance providers. When you get multiple quotes, you can compare them and see which offers you the best deal. You should never simply go with the first provider you contact since there’s no way to know if you’re getting a good deal. Save time – Most people are very short on time these days. If you’re one of them then the last thing you want to do is call different insurance providers to try and get a quote at a reasonable rate. By getting quotes online you can save yourself a good amount of time and hassle. Save money – Getting quotes online also enables you to save money since you can clearly see which providers offer you the best deal. Pick insurance options – A big advantage of getting your recovery truck insurance from specialist providers is that you’re able to select exactly which insurance options you want included in your policy. Simple claims process – There’s nothing worse then having to make a claim and finding that there are obstacles in the way. When you get insurance from one of the providers on the panel you can rest assured that the claims process is quick and easy. Easy set up – Another big advantage of getting your insurance online is that it’s very easy to set up. You can pay using any UK debit or credit card and once the policy is set up, you no longer have to think about it. Getting the best deal possible should be your priority when you’re looking for recovery truck insurance. If you click the green button below you can get access to tailored quotes from a panel of insurance specialists. You can select the level of cover you want and then see which insurance provider gives you the best deal.